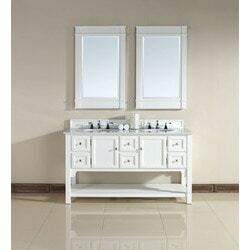 The South Hampton 60", double sink, Pure White vanity by James Martin Furniture features a unique transitional style. 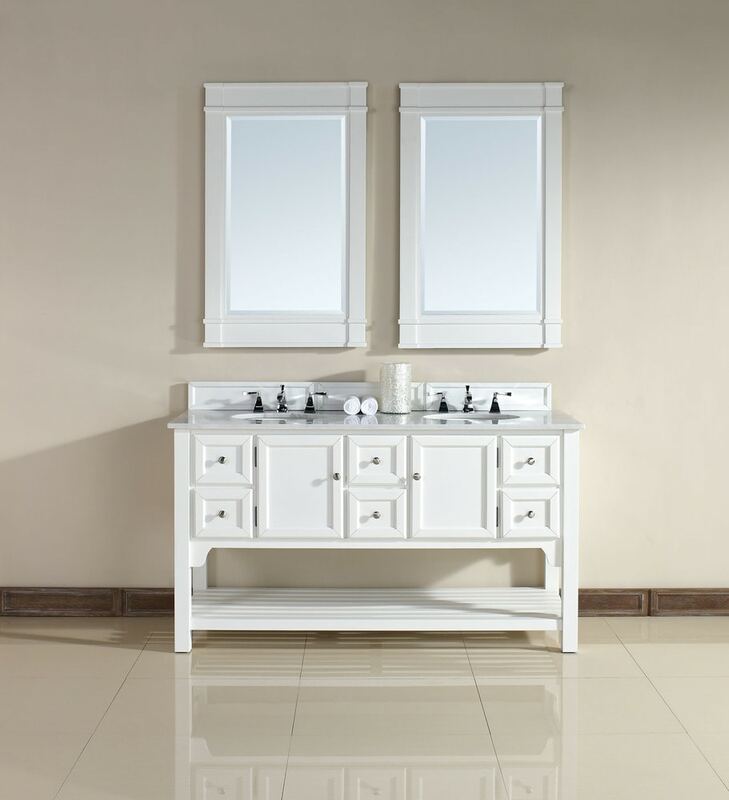 A sleek design with clean lines and individually layered picture frame doors and drawers will compliment any design. Semi-concealed barrel hinges pair with Satin Nickel finish door and drawer pulls. The pre-attached Guangxi White Marble top, with white porcelain undermount sinks, complete the look. Matching decorative wood backsplash included.